Breaking up is a tough one, let alone handling child custody and children matters. Here, you would need a family lawyer that deals with child custody and children’s matters so that parental rights and responsibilities are in the best interests of your children. Doing so is a critical decision, especially if both parents cannot seem to arrive at a single agreement. Consulting a child custody lawyer does not automatically guarantee the parents will end up in court litigating the issues. Our child custody lawyers have experience in these kinds of issues and can help parents to understand what is reasonable under the law and what their choices are. 1. Parents need to remember that they will be dealing with the other parent for perhaps many more years. Therefore, it’s important to try and save any good feelings not just for your own sake but for the sake of your children. 2. Once your case is brought into court, you will have no secrets. Bringing your case into court will mean that you will have to provide evidence and reasons for your choices. 3. Once you have asked the court to make decisions about your family, you will give up some amount of control you may have kept by working toward an agreement with the other parent. 4. Court cases can be expensive and take a great deal of time. They are by nature stressful and may take a toll on you and your family financially, physically and emotionally. Think about your financial resources, while considering the many hours the case is going to take. 5. How complicated is your case? For very difficult and complex child custody cases, hiring an experienced family lawyer is strongly recommended. For example, an interstate child custody or properly known as an interstate relocation case, will require presentation to the court of the compelling reasons for the relocation balancing what is in the best interests of the children and also giving consideration to the rights of each parent moving forward. The family lawyer should have experience in the Australian family courts and specialise in complex family legal issues. 6. You also want a Family lawyer who is experienced in handling children’s cases. Check to see if the Family lawyer you’re considering has a reputation for resolving cases such as yours both through the courts and using avenues of dispute resolution. Choosing a child custody lawyer should be done carefully. A family lawyer should be able to understand your legal needs and financial situation. Our team realises that every family’s situation is different. Some families remain friendly toward each other after a breakup, while other families have a history of abuse or neglect. Some families are in agreement on everything and reach out to us to make sure their children’s rights are protected, while other parents are looking to a heartbreaking future of seeing the other parent spending most of the time with the children. At Unified Lawyers, we take into account both the financial and emotional needs of your family. We understand how stressful it is when you are concerned about your children’s well-being and will work with you to get the best results for your family. 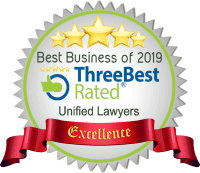 You can trust that we have the best interests of your children in mind and taking into account the outcome you are seeking to resolve your family law matter. Our NSW family law firm is here to help. Once you have arranged the use of our services, there are several things you can expect. – Under the Family Law Act and before applying for parenting orders you will need to obtain a certificate from a registered and independent family dispute resolution practitioner unless an exception applies in your particular case. – In certain circumstances the Court may also order you to attend family counselling and post separation programs such as small discussion groups and/or lectures. – The court schedules an interim order for children’s cases, including cases where there are simply differences in what the parents want for the children, where initial statements are sworn and preliminary arrangements are agreed to. – Currently, the court’s final hearing process could take up to several years and may include evidence such as cross-examination and other investigation of the evidence. 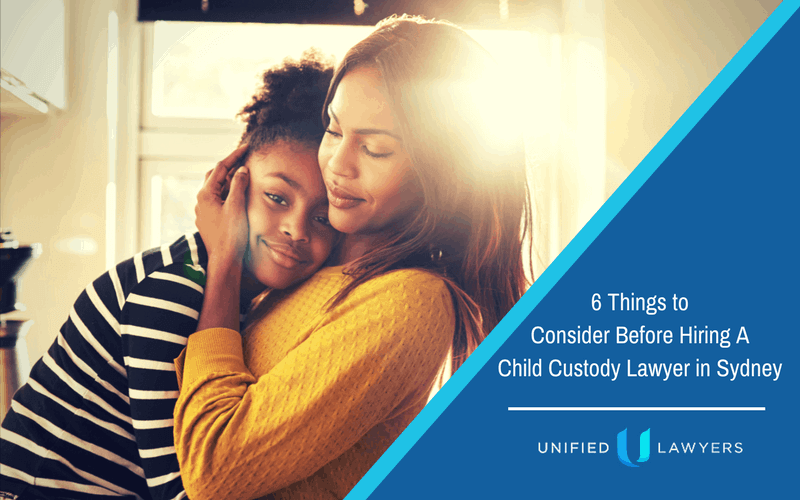 – The court will take into account factors which foster the relationships between the children and both parents, and which ensure the safety and the best interests of the children. The court will also look at the parents’ relationship and their willingness to work together, the effects of any orders on the children, and the maturity and other personal characteristics of the children. The court will also check for any history of family violence, and anything else the court thinks is relevant. If you are trying to figure out how to get sole parental responsibility in Australia, contact us and we can guide you. We are experts in child custody and all Family law matters here in Australia. Decisions about your children are too important to be left to chance. You don’t make decisions about your children lightly, and you need someone on your side who wants the same thing as you. Call us today for an evaluation of your case.